When asked during his press conference yesterday whether he was concerned about facing an onslaught of Democratic subpoenas and investigations, President Trump said that doing such would amount to ‘warlike’ posture’ and he threatened to retaliate by blocking any legislation the Democrats would put forward. Of course, history tells us that the so-called ‘Washington gridlock’ (a divided House and Senate between parties is usually good for the economy. However, onlookers claim that this time around might be different. As the tax stimulus fades next year and Democrats take control of the House, peak economic growth is likely to fade. Not only will Mr. Trump likely blame the Democrats, but he will also be looking at the Federal Reserve. But first, there is the Mueller investigation. After the firing of Jess Sessions, several prominent centrist Republicans stated their worry that the White House might interfere in the investigation. Senator Susan Collins, from the state of Maine, was one of the first Republicans to warn Trump after the dismissal of Sessions. "It is absolutely essential that the Trump government does not hinder Mueller's research," she said. "The special prosecutor must be able to finish his work without any interference." They naturally agree with their Democratic colleagues who also expressed their concerns after Sessions left. Mr. Chuck Schumer, leader of the Democrats in the Senate, said in a statement that the provisional successor of Sessions, Mr. Matthew Whitaker, should keep out of Mueller's Russia investigation, just like Sessions did. The chance that he does, however, is as good as nil. Whitaker said last year in an interview with CNN that he thinks that Mueller 'has too many powers'. Moreover, the fact that Sessions was outside that investigation was just the reason for Trump to dismiss him. British newspaper The Guardian is now wondering whether the dismissal of Sessions can lead to a constitutional crisis, with the separation of powers as an effort. Laurence Tribe, professor of constitutional law at Harvard, told the newspaper that the replacement of Sessions in itself could be reason enough to start an impeachment procedure. "Naturally, the rule of law crisis has been around for a long time," Mr. Tribe concludes. The Guardian is " concerned" about the US, and not about the Muslim takeover of their own country. 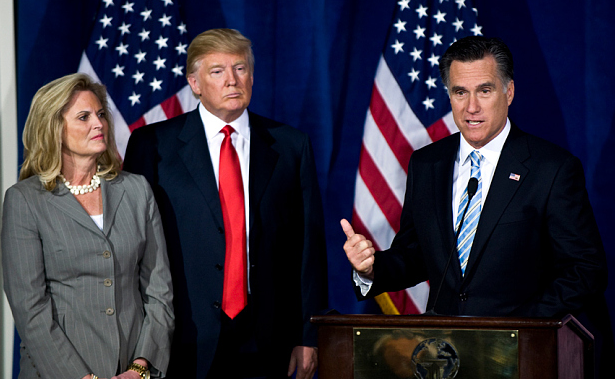 Mitt is taking over where the POS McCain left off, positioning himself as head NeoCon in-charge. The Fake News will adorn him with praise. Why is Romney trying to interfere with the course of an investigation in a different branch of government even before he has been sworn in? Very mad that this guy got in instead of a real constitutional conservative. Many believe he is just another globalist puppet. Hopefully this Ryan 1.0 will be silenced. Disappointed that money and popularity overcame grit and character. Is why I believe 90% or more of politicians & officials are crooked & dirty as that jar bill gates was holding. BTW what is the fascination with feces? I guess I do have a use for the turd emoji… A marker for those on the take. Stinkin` sheitbirds! Serve the people or take that jar of crap from gates & GTFO! Who ever voted for Mitt Romney is just plan stupid. He is a fake republican rinno. We just got rid of 44 corrupt rinnos and liberal traitors. Now satan's minions have taken over the house of representatives. If they have their way the only people left in the US will be Mexicans and Blacks. These people will only vote for Mexicans and Blacks because they are racists. They voted for evilbama because he was black. Trump has helped the Blacks and Evilbama did not. The same with the many corrupt Mexican politicians in California. They only vote based on race and they hate whites even when they try to help them. These are very stupid heathens and will be the wicked who God will destroy as it says in revelations.